I’ve spent this summer back home in Norway. It’s been super nice, after almost 2 years away from home, to see friends and family. BUT, I’m going to be honest: It has not given me any inspiration at all to write or post on this blog. And if I’m not inspired, I’m not going to PUSH myself to post, just to post. I want this blog to be honest, real and I wanna write because I feel like writing, and are inspired. That is the only way I can inspire others aswell, which is the idea behind this blog! ANYWAY! I’M BACK OUT HERE!! YEY! Currently in Cambodia! And I’m feeling better then I have felt in a long time! 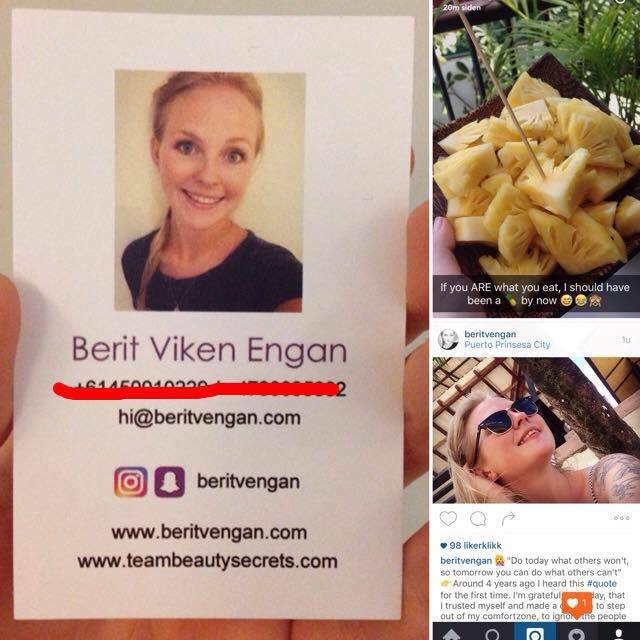 SO, I’m getting back into this, wanna share travel tips, advices, thoughts about lifestyle, mindset and business – back to being inspired, and to inspire others (hopefully) <3 Thanks for dropping by, and also: Follow me on instagram/snapchat – beritvengan – for more updates inbetween my posts on this website!